Whether you’re the designated summer party grill master, or just the one who hosts the events at your house – this weekend marks the official start to the season when outdoor fun, food and enjoyment begins. As we head into the long Memorial Day weekend, Petruzelo Insurance would like to remind you about the importance of grill safety. Both in terms of fire hazards and food safety. Here are some tips to ensure your summer events are as successful and enjoyable as possible. Knowing that fire is dangerous and keeping kids away from the grill is a given. But you can keep accidents even farther away by taking the time to make safe decisions from the start of your day. For example, finding a place to set-up the grill for the day that is away from high traffic areas, the house and other structures and ensuring it is clean and operational before starting a fire can go a long way in making the day injury-free. Knowing how to operate a grill is a unique talent. For this reason you may be titled the “grill master” at events. You keep the food coming on and off, know just went to flip a burger so it cooks right and have the best barbecue layering skills ever seen. But if you’re unsure at all about keeping the flame in control and what setting to have your burners on, it’s important that you find ways to gain some instruction on safe operation. Whether you read the instruction manual, watch tutorial videos or ask someone skilled in grilling, cooking skills are of essential importance. 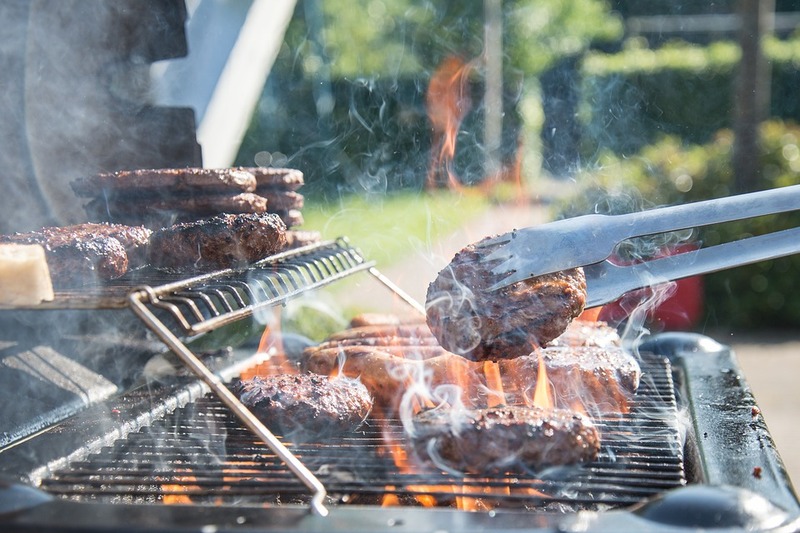 Common tips include never leaving the grill unattended, avoiding high fat foods where grease drips can create uncontrollable flames and keeping water or a fire extinguisher nearby in case of an emergency. Speaking of cooking skills, even if you’re skilled at flipping the burgers and maintaining the flame, there is an additional responsibility as the host to ensure that food is cooked to safe temperatures and will not make your guests sick. Refresh your memory on sanitary food handling guidelines and prevent the spread of food borne illness from bacteria or consumption of raw foods. Practice cleanliness to avoid cross contamination and purchase a food thermometer to be extra sure that meats you serve have reached safe temperatures.